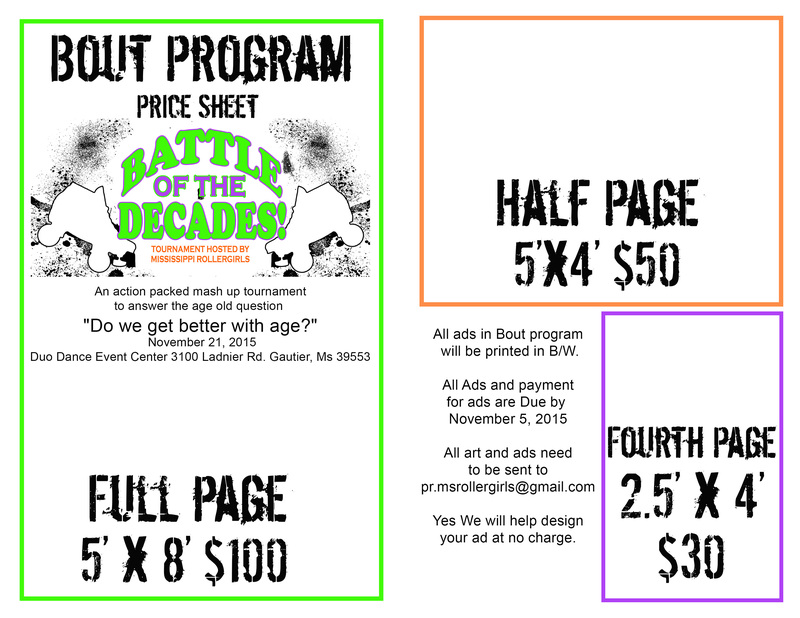 Rollin' News - World Wide Roller Derby News | Grin 'n' Barum Derby Girls - Derby Is The New Forty! October 2012 and my work colleague who is 10 years my junior said her and her friend were going to try a skating session and asked if I would like to join them. I replied "I don't think so" but she persuaded me! Well thank goodness she did! 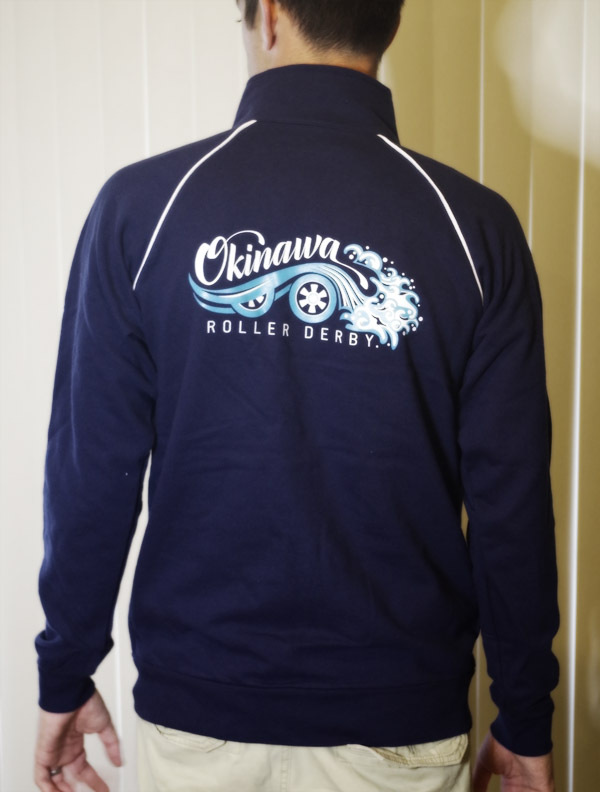 I went to one session and there were some girls there who had just started a derby team and I was in awe. I wanted to skate like that but at 39 and stiff as a board but with legs like Bambi I didn't think much more about that side of things as I thought it was for younger and more athletic people. There was however something in the back of my mind that clicked and out came my competitive edge. Six months later and with minimum skills passed it was time to pop my cherry bout! I felt completely out of my league and definitely more of a hindrance, so much to take on and I have to admit it I was useless, but that gave me more determination than ever, I was addicted and determined. A few more bouts under my belt and turning 40 and becoming part of the elite over 40's UK page on Facebook where there is currently 174 members made me think life really does begin at 40. I then started trying mixed scrims, boot camps and co-eds to maximise my potential and love the fact that this sport has such a camaraderie and diversity of ages, sizes and people from all walks of life. Derby is one huge passion that we all share. 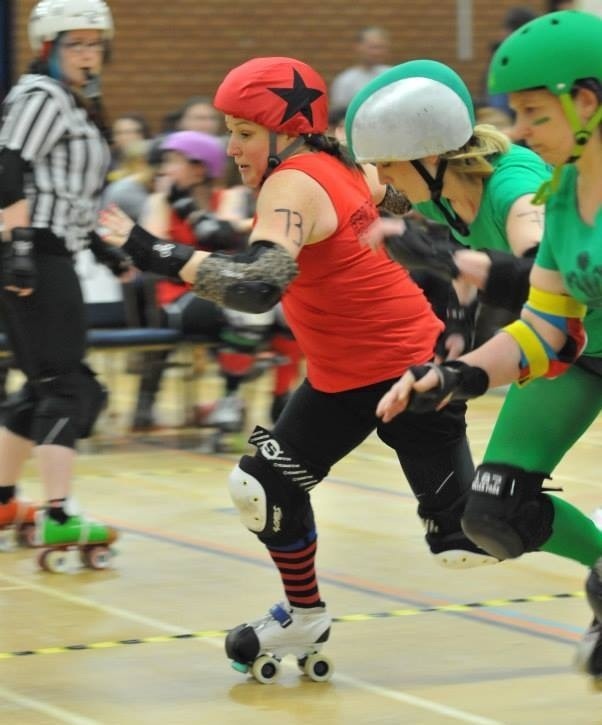 I love to take a hit it gives me a buzz, I love to give a hit, I love to have a go at jamming and getting through the pack - as lead jammer even better. Most of all I love this ever-growing world wide sport and the spirit and passion of those who are involved in it. It takes over your life and thankfully I have a husband who embraces the sport too. I feel fitter and healthier than I have ever done and have an amazing family in Grin 'n' Barum Derby Girls who are my team in the South West of England and have made some lifetime friends along the way. Long may this journey last!